How far along: 28 weeks!! We only have 11 weeks to go till my scheduled surgery! Gender: Still unknown.. And definitely not giving in to wanting to find out. Weight gain: I've gained around 19 pounds. The weight is slowly coming on now, thank god! I was gaining weight so fast those two weeks of Christmas and New Years! Maternity clothes: Yes, leggings, workout pants, and new maternity pants only! My shirts I still keep and wear. Stretch marks: None. Lots of water, slowly gaining, and lots of body butter! Sleep: My sleep has been awesome. Still getting up at 6am everyday for me time, and getting in a quick workout before Sophia wakes. Movement: Yup. This little one loves to show us that it's in there! But definitely not hurting me anymore. Labor signs: Besides the braxton hicks, none. Belly button in/out: My belly button is still halfway in. It pops out on occasion, but is still a little bit in. Wedding rings on/off: My wedding rings are on still which is nice. Mood: I have been in the best mood since having me time every morning. It's crazy how our moods can change within one goal to be better. I love how happy I am now. Happy Wife, Happy Life. Looking forward to: I am looking forward to getting the baby's nursery done! I can't way tot show you all what I have planned out for this gender neutral room! This pregnancy is flying by, and I know I say this every time, but it really is! 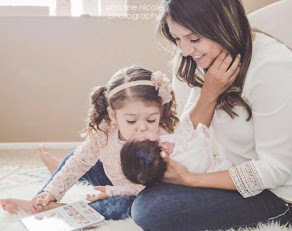 I also have a post coming on how you can stay healthy and fit during your pregnancy! Can't wait to share that with you all. Happy hump day! 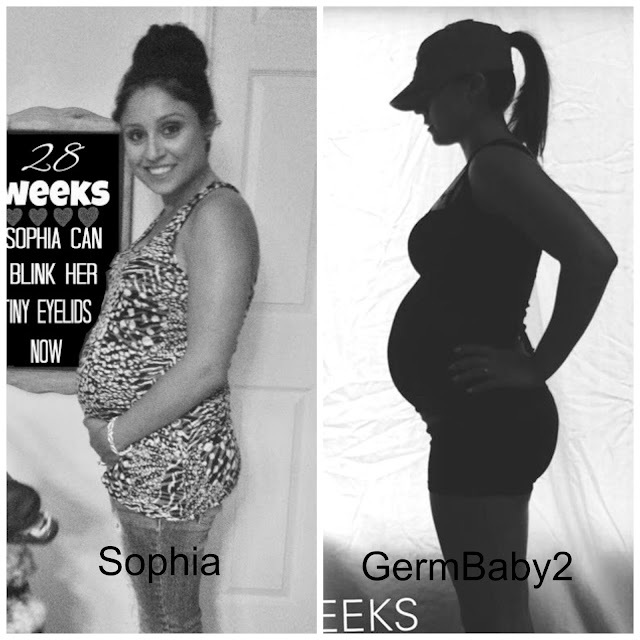 Oh, and here is a side-by-side 28 week photo with Sophia and not this pregnancy. So similar, yet so different..